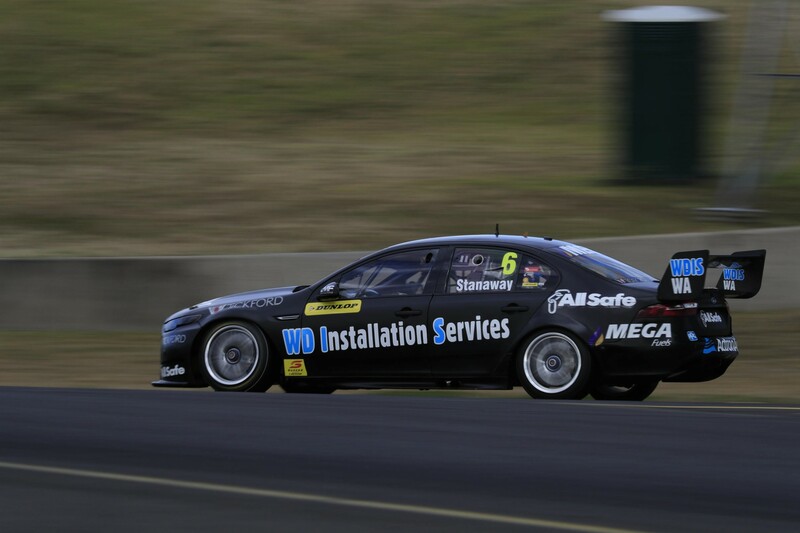 Richie Stanaway completed an impressive debut in the Dunlop Super2 Series with victory in an incident-packed Race 4. The 25-year-old moved into the lead off the grid, sneaking down the inside of front-row starters Anton de Pasquale and Todd Hazelwood as carnage unfolded behind. De Pasquale snatched the lead back with a daring move on the Safety Car restart but could not hold out Stanaway, who soon retook the place and drove on to victory. “I can’t ask for much more than that,” said Stanaway, who was third for the weekend behind winner De Pasquale and Paul Dumbrell, who had taken out the opening two races. “We haven’t had the smoothest weekend, we didn’t have a great run through quali and the first few races, but we saved some good tyres and pieced it all together in the last one. “I’m very grateful for the opportunity from PRA and all of the sponsors that jumped on board this weekend. I’ve really enjoyed it and am really happy to get that win. De Pasquale secured the round win despite also losing position to Macauley Jones and Garry Jacobson in the closing stages. Veteran Paul Dumbrell was second in the accumulated round points after two race wins this weekend. The Eggleston racer has closed the Dunlop Super2 Series points gap to Hazelwood to just five points after an eighth for the Matt Stone Racing Holden in the final. The closing Dunlop Super2 race was action-packed off the start line after Richard Muscat made contact with Will Brown, spearing Jack Le Brocq into the inside wall. Le Brocq was out on the sport due to extensive damage to his Nissan Altima while Muscat pitted to rectify issues with his Commodore and was later handed a drive-through penalty. Le Brocq's Matt White Motorsport team-mate Shae Davies was also out on the opening lap due to a separate crash at turn 1.